Glasgow is a city bursting with life, energy, passion and personality. There is so much for delegates to see and do, whether it is for a few hours in the evening after the main conference sessions or extending your stay to explore what has been named by the National Geographic Travel as one of the Top 20 “'Best of the World Destinations” for 2016. People really do make Glasgow. Glasgow is known for being one of the world’s friendliest cities. Home to more than 20 world-class museums and art galleries - most are free for delegates to enjoy. Glasgow has one of Europe’s largest civic arts collections with works by Dali, Van Gogh, Degas and Monet. Highlights include the wonderfully eclectic collection at Kelvingrove Art Gallery and Museum, the vibrant contemporary art offering at the Gallery of Modern Art (GoMA) and Riverside Museum, the city’s museum of transport and a recent European Museum of the Year. As a UNESCO City of Music, Glasgow hosts an average of 130 music events each week. Glasgow is home to Scottish Opera, the Royal Scottish National Orchestra, BBC Scottish Symphony Orchestra and Scottish Ballet. Delegates can therefore enjoy a range of regular arts performances across the city. Glasgow has an extraordinary architectural landscape, from the Victorian splendour of Glasgow City Chambers and the Art Nouveau magic of Charles Rennie Mackintosh’s Glasgow School of Art, to Zaha Hadid’s ultra-modern design for Riverside Museum. The city’s skyline is truly iconic! With over 2,000 restaurant and caf�s to chooses from, delegates will not be far from somewhere to eat. Glasgow is also one of the friendliest cities in the world, so why no join the locals for a 'wee dram' in one of the 700 bars and cosy pubs in the city. 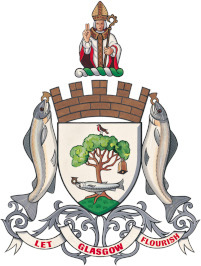 The Gaelic translation of Glasgow, literally means Dear Green Place - a very appropriate name for a city which boasts over 90 parks and gardens within its city boundaries. Why not take a walk around Kibble Palace in the Botanic Gardens, visit the Highland Cattle at Pollok Country Park or take a cycle around the city. Ultimately, why not enjoy a leisurely round of golf at one of the world class courses Glasgow has on its doorstep, including Turnberry and The Carrick at Loch Lomond. An excellent opportunity to get your bearings of the city and find out about its history, art, music, food and culture. Culture Tour of the City and West End's galleries and Victorian architecture. 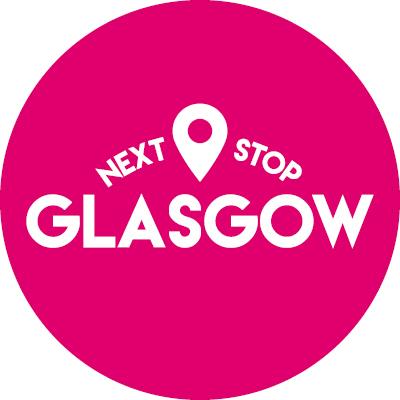 The open-top bus tour is the perfect way to discover Glasgow and, with 21 stops where delegates can hop-on and off to explore our world-class museums and galleries and discover all that Glasgow has to offer. One of the best ways to experience the city’s vibrancy is through its different neighbourhoods. From the fashionably bohemian West End to the leafy Southside, from new kid on the block Finnieston to the historic Merchant City. Glasgow’s neighbourhoods are a great way of getting under the skin of the city and discovering your own hidden gems along the way. There is so much packed into Glasgow's City Centre that delegates will find endless places of interest to explore. The true heart of the city and bustling with a wealth of cultural attractions, world class architecture and design, fantastic shopping and a year round programme of exciting events and festivals, which span the worlds of music, film, theatre, art and sport. The city is consistently voted as one of the top places to shop in the UK. You will find a plethora of cool vintage shops, well-known brand names and exclusive designers. The Merchant City is one of the oldest quarters of Glasgow. Developed from the 1750s, residences and warehouses of the wealthy merchant “tobacco lords” were built in the area, leaving a legacy of amazing architecture. Now one of the most vibrant areas in Glasgow, delegates can enjoy shopping, dining, entertainment and fun in a beautiful, historic setting. Recently voted the “hippest place to live in the UK” by The Times. Finnieston is buzzing with bars, restaurants, independent shops and art galleries, all within walking distance of your conference! Often quirky, sometimes unconventional, the most recent wave of bistros, bars and cafes makes Finnieston a strong contender for the title of Glasgow’s most vibrant neighbourhood. 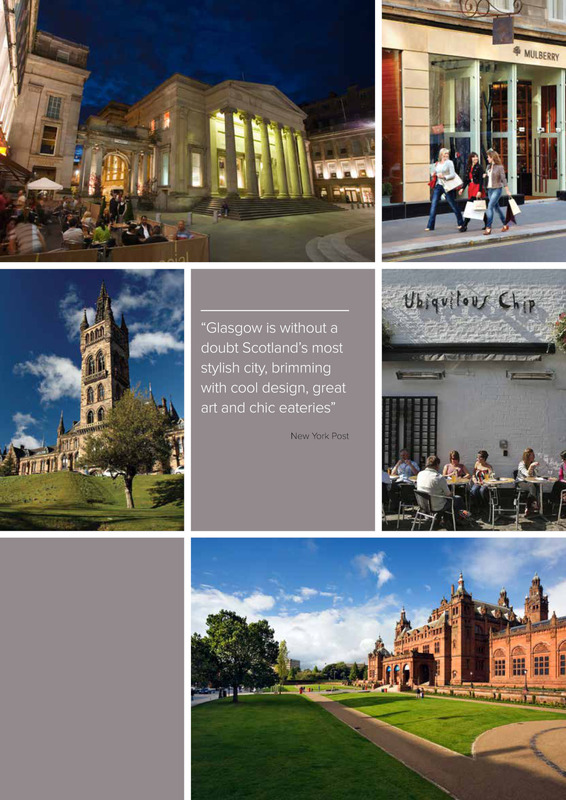 Recently voted ‘Best Neighbourhood in UK & Ireland’ by the Academy of Urbanism, due to its artistic and walkable nature, Glasgow’s West End, with its exquisite sandstone villas and leafy avenues is the perfect place to experience Glasgow’s cafe culture and museum district. Home to the University of Glasgow, fine Victorian architecture and bohemian bars, restaurants and antique shops. Quirky, individual shops on Byres Road, while cobbled Ashton Lane is an Aladdin’s Cave of pubs, bistros and a cinema. Nearby, the Botanical Gardens is a great place to unwind after a busy conference day.